boot 2015 Düsseldorf, the 46th International Boat Show Düsseldorf in Germany, begins tomorrow and it will feature more than 1,650 exhibitors from over 60 countries. Here’s a sneak peek of the show. 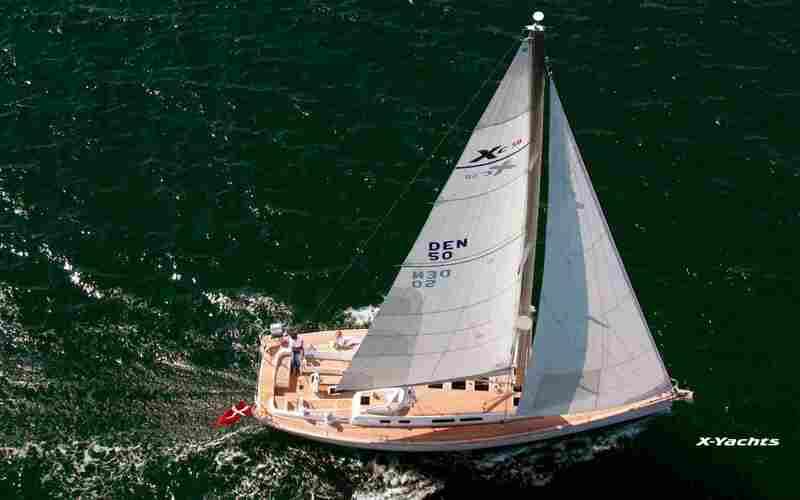 X Yachts will be showcasing five of their fantastic models: Xc 35, Xc 50, Xp 38, Xp 44 and Xp 55. The boot 2015 Düsseldorf will witness the world premiere of the Next Generation Xc 50 (see pictures above). Its revamp includes new interior styling, full LED lighting above and below deck, new keels for greater stability, larger bathing platforms, extra cockpit locker storage and a greater range of customisation options. 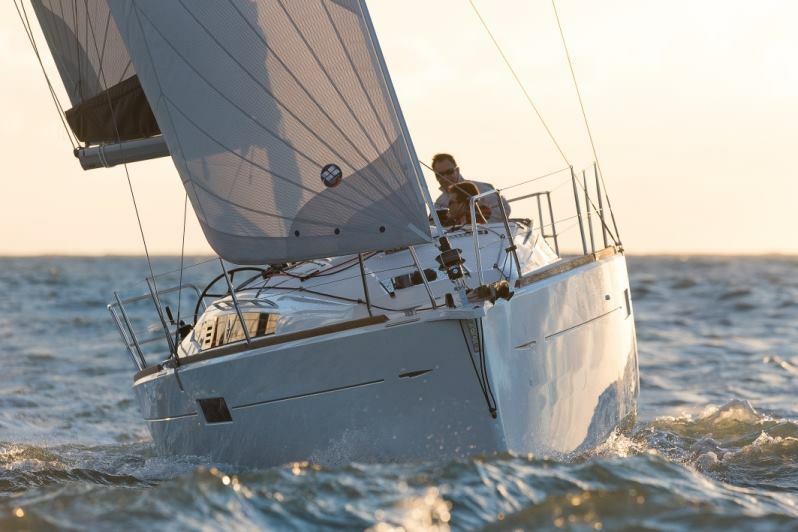 The new Discovery 58 Bluewater cruising yacht will be launched tomorrow at the Dusseldorf Boat Show. 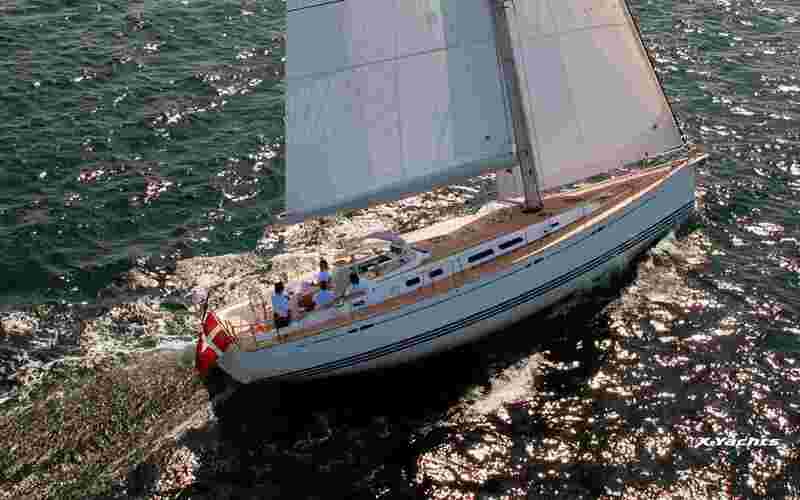 The yacht is designed for short-handed passage making in total safety and complete luxury. 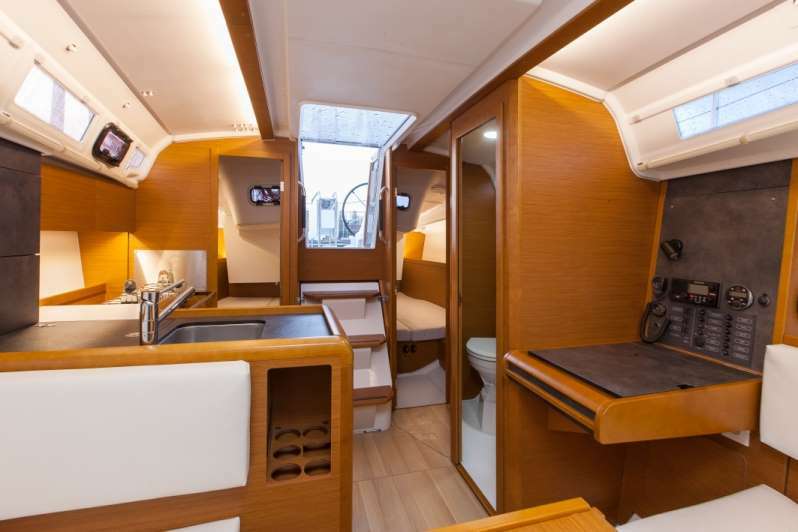 A welcome addition to the Discovery range of bespoke bluewater cruising yachts, it will offer the option of single or twin wheel steering as well as a three or four cabin layout. Frauscher Boats is displaying its dynamic 747 Mirage (7.47 m) at the boot 2015 Düsseldorf. The design of the 747 Mirage is more radical than that of the 858 Fantom unveiled a year ago. 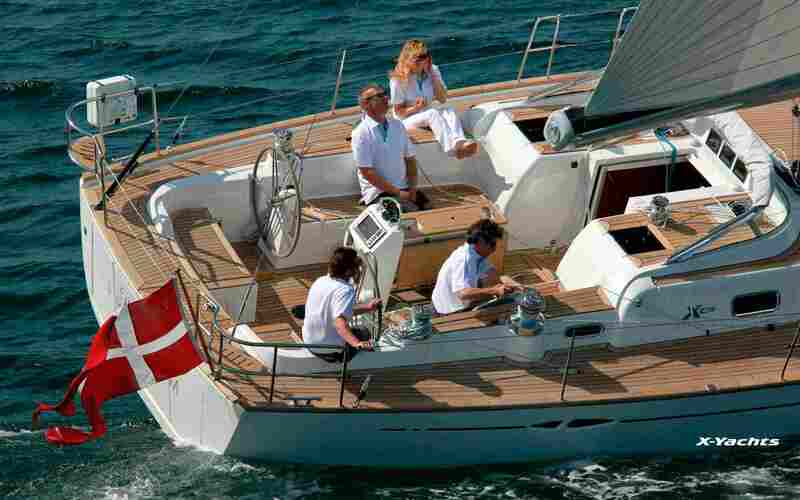 It underlines Frauscher’s roots in racing and features a rather athletic exterior design. The cockpit of the open sports boat is a revelation in terms of diversity. The 747 and 858 are the work of design studio Kiska and Thomas Gerzer, with Harry Miesbauer responsible for their hydrodynamics. 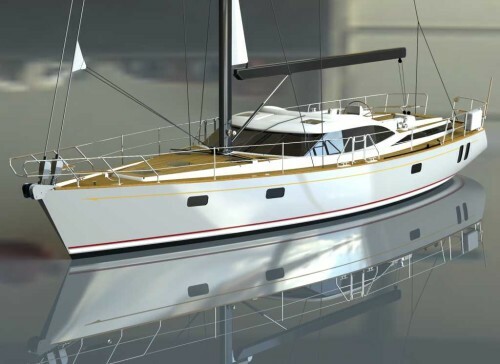 Jetten Yachting from Netherlands is exhibiting the 14.92 m Jetten 50 MPC Fly, which it has constructed in collaboration with Vripack Naval Architects. 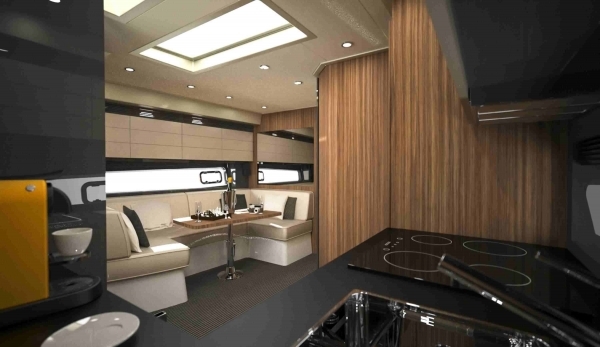 The flybridge is completely integrated in the superstructure and blends in seamlessly. 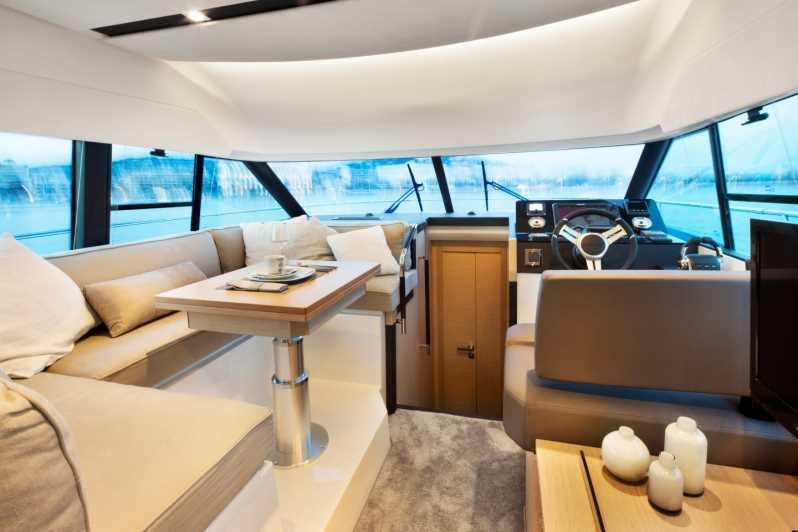 An innovative feature is the lounge seat that curves around the central helm console enabling the skipper to sit among his guests at the helm instead of in front of or behind them. 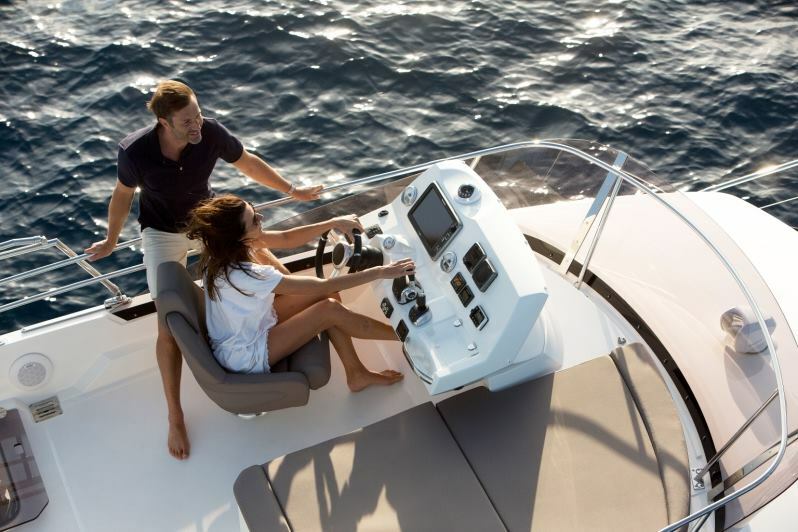 The 50 MPC Fly is available with a full- or semi-displacement hull and, for smooth displacement-hull cruising, is equipped as standard with two six-cylinder Deutz diesel engines, each generating 170 hp. 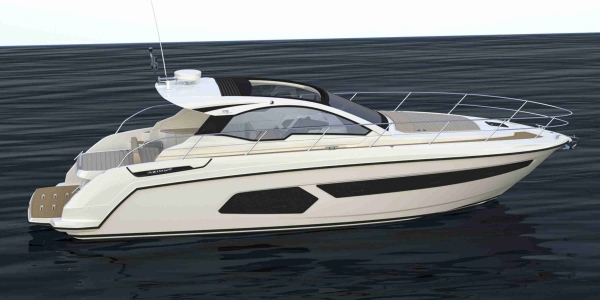 With two optional 370 hp engines, the top speed is 14 kn. 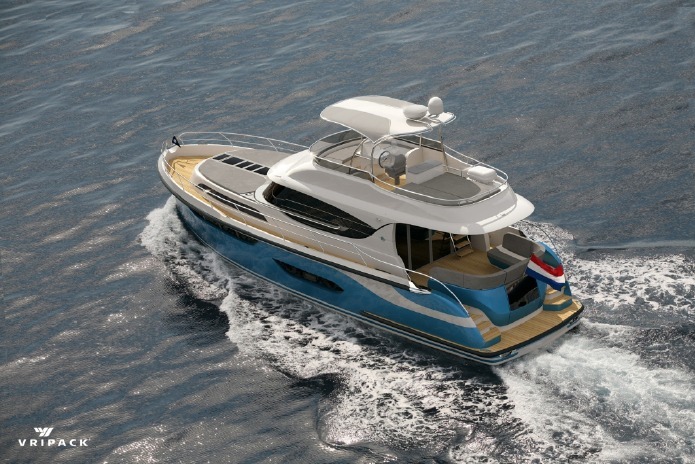 Azimut is premiering the 13.86 m Azimut Atlantis 43 at the Show. The 43 sets new standards in its category and is described as “Outwardly sharp and sprightly, inwardly cool and select,” by the Italian boatyard. Read more about it here. 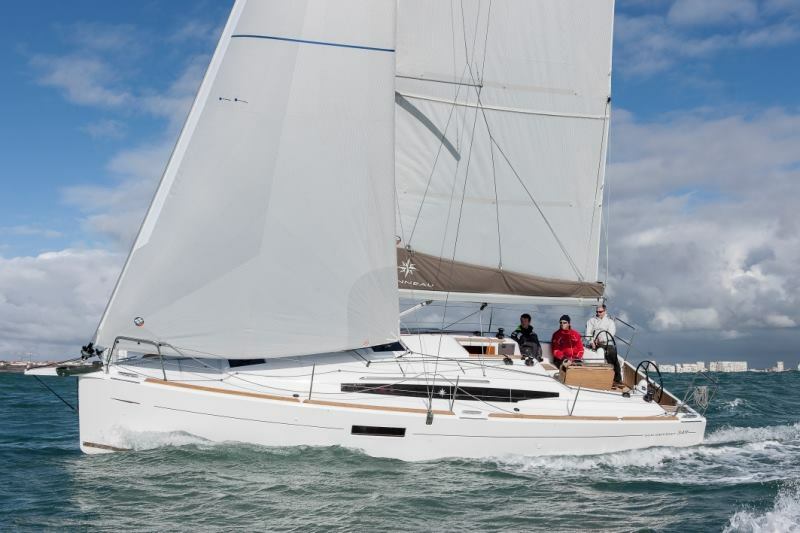 The French boat-builder, Jeanneau is presenting the 10.34 m Sun Odyssey 349 (see pictures above) as well as a fleet of motor boats. 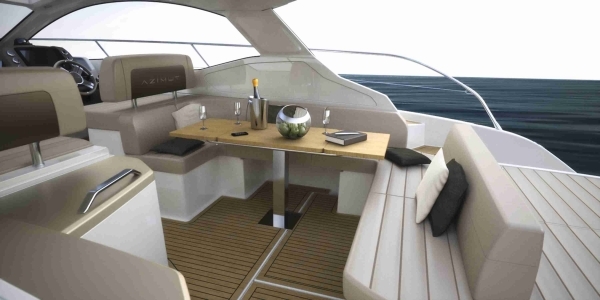 The Sun Odyssey 349 is distinguished by its straight lines, spacious interiors and inviting cockpit. This vessel from designer Marc Lombard offers a perfect combination of performance, comfort and safe handling at sea. 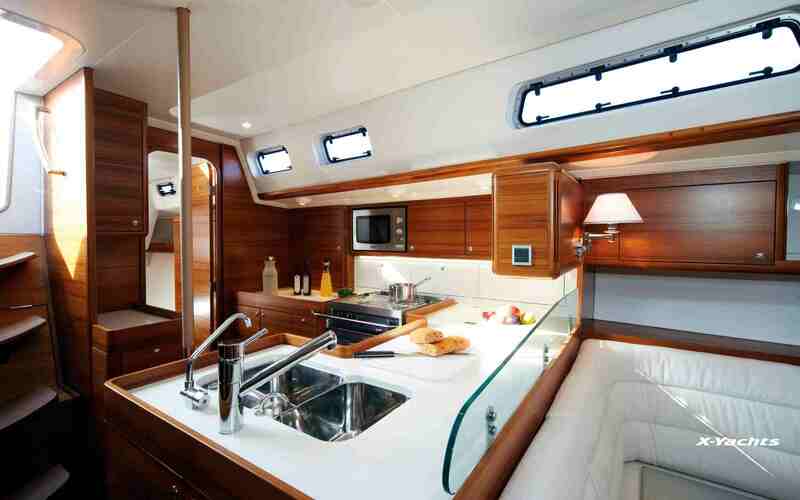 Below deck there is the saloon and as per customer’s wishes, two or three cabins can be accommodated. 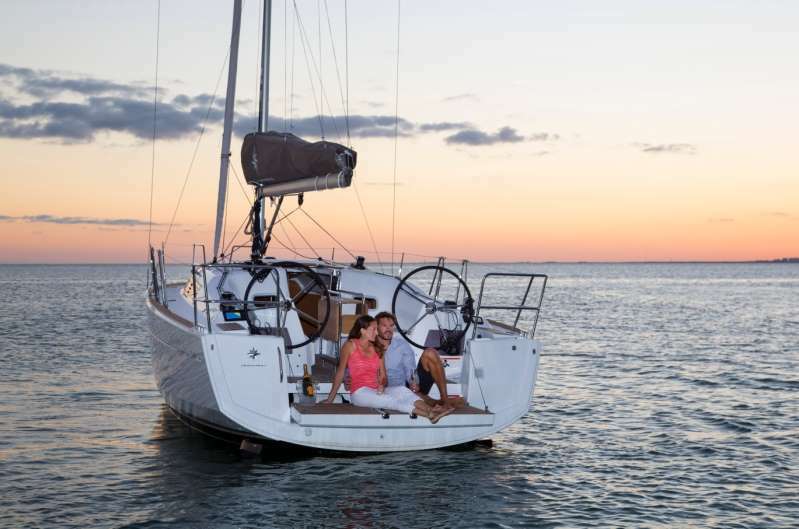 The motor boats from Jeanneau include the The Cap Camarat 7.5 CC Series 2 and the Cap Camarat 7.5 WA Series 2 (both 7.5 m long), which have new hulls with a deep V and are now compatible with up to 300 hp outboard engines at the stern. Their looks are modern, racy and rather masculine. The 6.95 m Merry Fisher 695, also with a deep V hull, requires outboards for propulsion and is ideal for day trips. 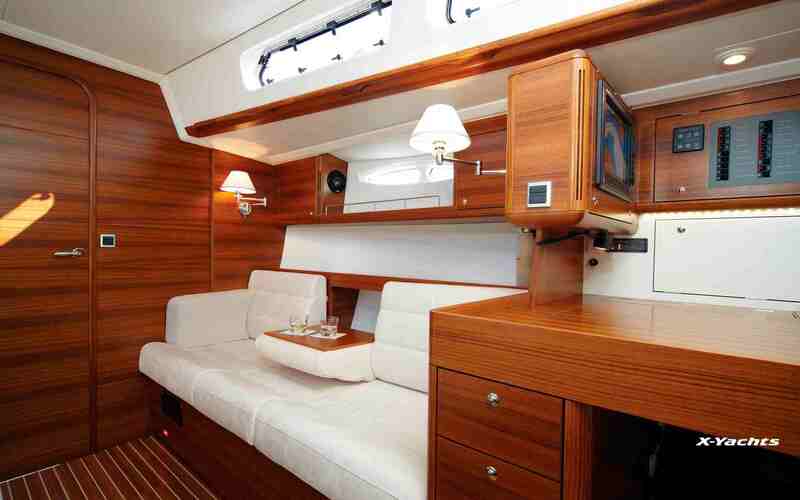 The saloon seats four and – after upholstery conversion – sleeps four as well. A marine head is available as an extra. The Leader 36 (11.47 m) is offered in two variants, with a sports top and an open cockpit. 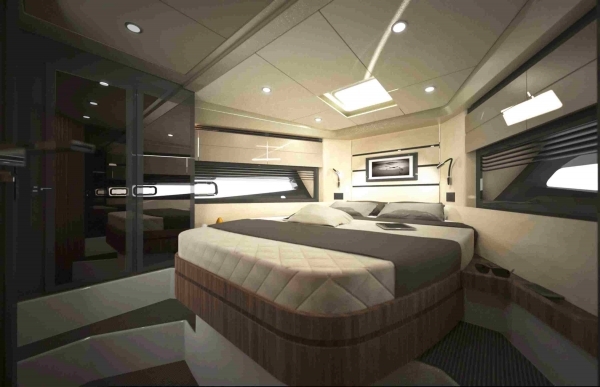 It is designed mainly as a fair-weather vessel, and the forward saloon can be converted into an owner’s suite for the night. 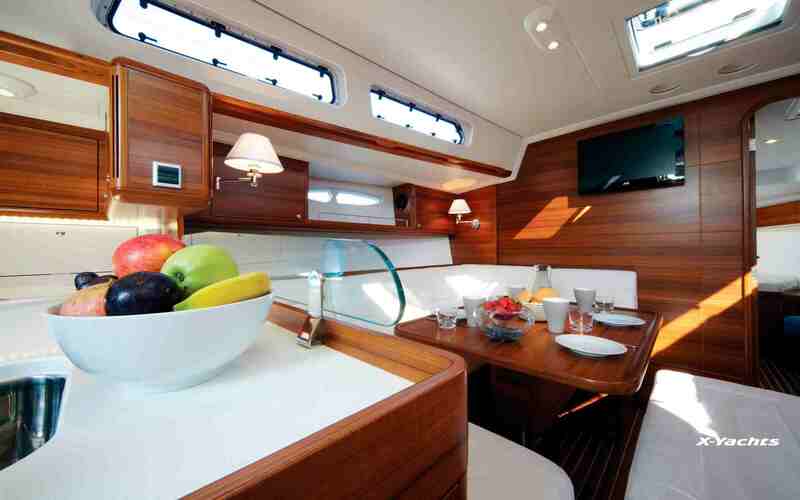 Extended lines and a contemporary profile typify the flybridge model Velasco 37 F (11.43 m). For propulsion, engines with rigid propeller shafting are used. 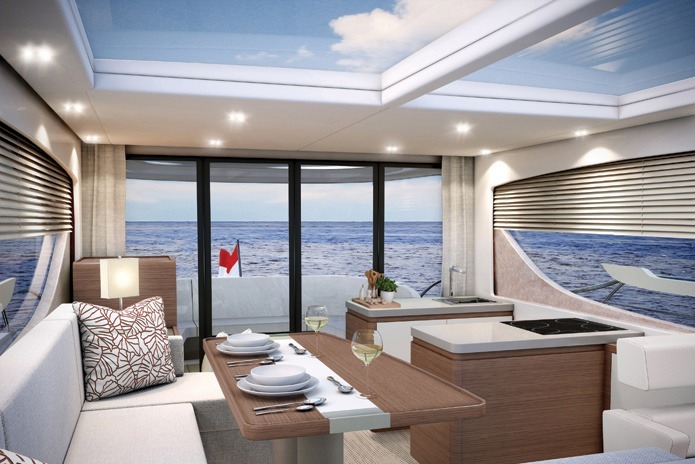 Below deck are two cabins with their own showers. The 12,64 m Prestige 420 (see pictures above) from Jeanneau’s luxury series is a flybridge motor yacht with a wide body on which the saloon extends right across the ship’s beam, excluding side-decks. 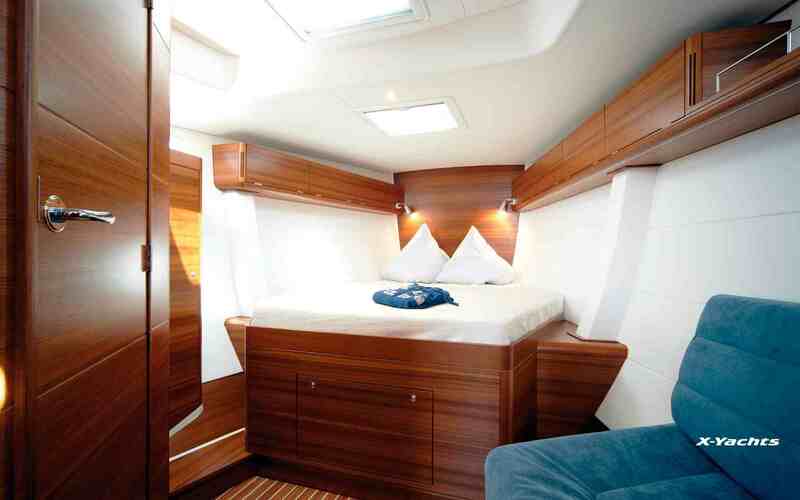 For the owner and guests there are two cabins, and the boat is propelled with Volvo Penta IPS drives. Brunswick is attending with two new boats in each of the Quicksilver and Arvor lines. 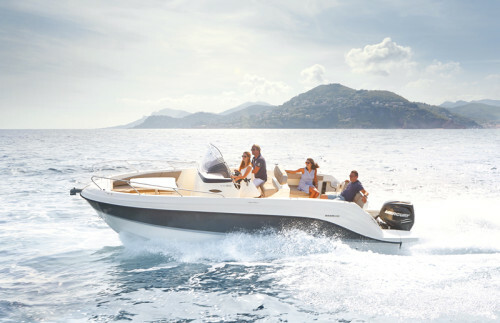 The 4.54 m Quicksilver Activ 455 Open is an entry-level model for coastal, sea or river trips with family and friends. 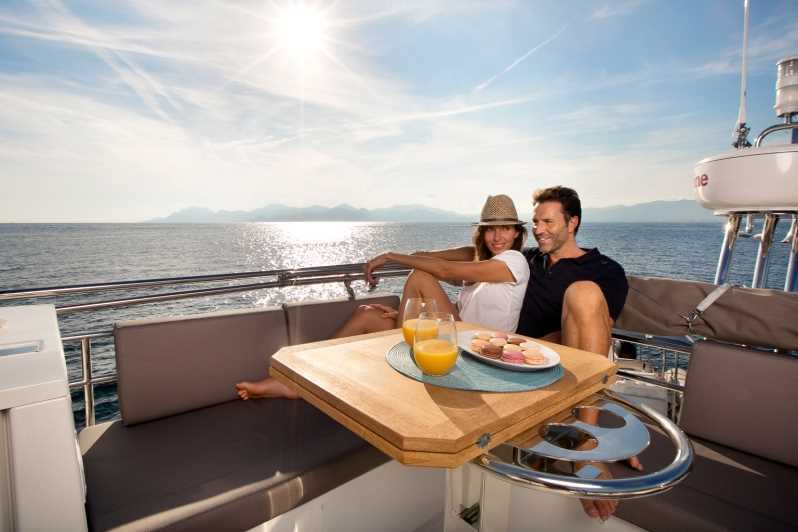 This compact yacht has a large bathing platform, innovative storage solutions, and comfortable seating for up to five. The stern will take outboards up to 60 hp. 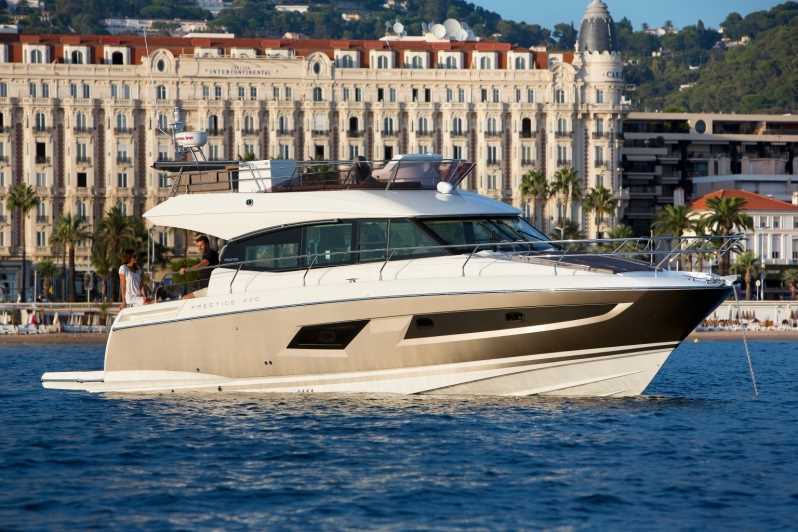 The 7.88 m Quicksilver Activ 805 Cruiser – also available in a sundeck version with a sunpad on the foredeck – has been developed for a fast and stable ride. Up to four persons can overnight in the forecabin and on the double recliner amidships, while the amenities also extend to the galley comprising a refrigerator, fresh water system and stove, the separate marine toilet and two bathing platforms at the stern. The stern is designed for max. 400 hp outboard engines. 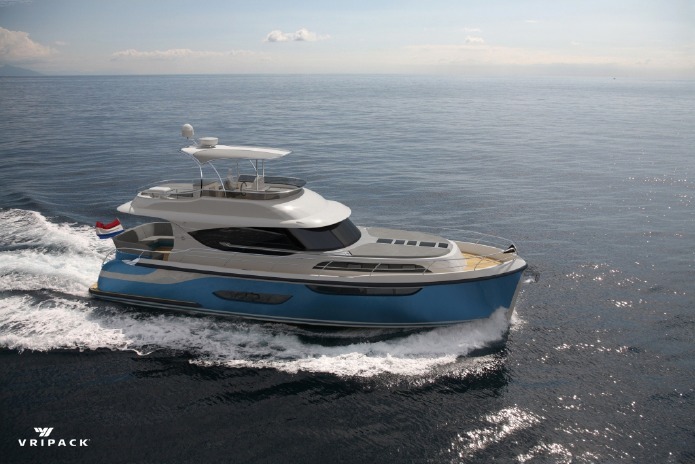 The new Arvors 690 (7.88 m long) and 730 (7.3 m) with an inboard diesel engine, glazed, practical pilothouse and largely free cockpit are tailored to the needs of anglers. 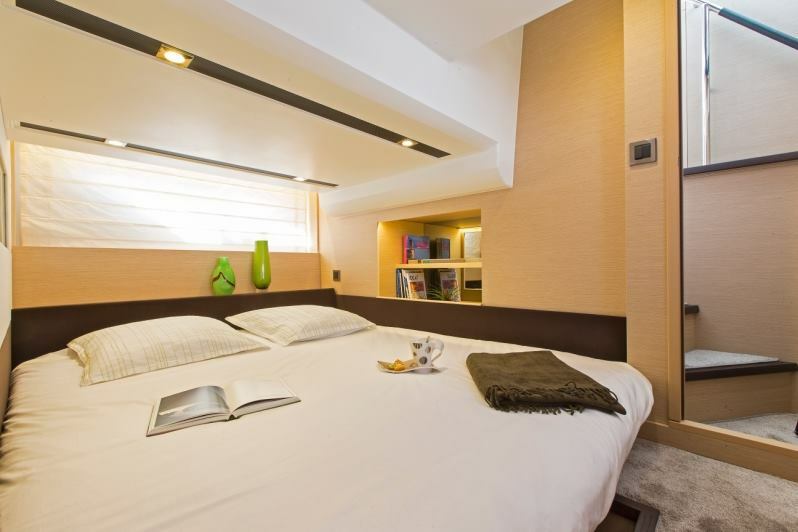 There is a cabin with two berths below deck for the benefit of night anglers. 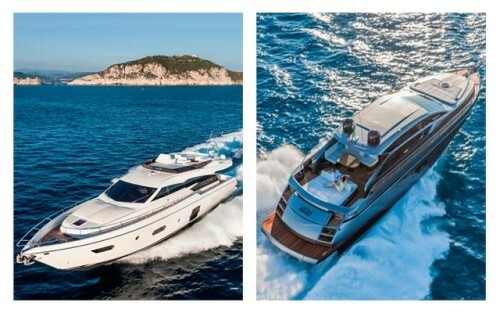 The Ferretti Group will display four of the most prestigious models in its fleet: the iconic Riva yachts Rivarama Super and Aquariva Super, and two premières for the German market, the Ferretti Yachts 750 and the Pershing 62. The boot 2015 Düsseldorf will end on 25th January, 2015. You can stay abreast on the latest happenings at the Show through their website.